Another rich source of information on Presbyterianism in 1867 are the Synod Minutes for each branch and the lives of the Moderators. The first Sederunt of the 1867 Synod Minutes of each branch has been digitized below. Many of the issues discussed by all were also brought before the Synods. Rev. John J. A. Proudfoot. Image G-444-FC-1. Rev. John J. 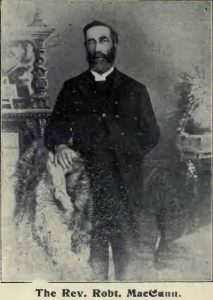 A. Proudfoot was born in Scotland 1821 and came to Upper Canada with his father, Rev. William Proudfoot. John J. 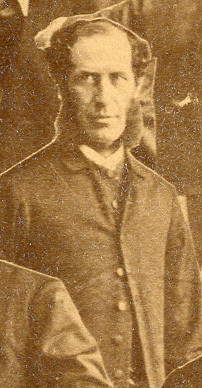 A. Proudfoot graduated from Divinity Hall, London, Ontario in 1848, was ordained, and inducted into the congregation of Downie and Blanchard, near London, Ontario. Upon the death of his father in 1851 he was called to minister at First Presbyterian Church, London, where his father had been minister for many years. In 1867 John J. A. Proudfoot was elected Moderator of the Synod of the Canada Presbyterian Church, held from June 4th to 13th in Toronto. Also in that year he began lecturing at Knox College, Toronto, where he taught homiletics and pastoral theology. He continued to lecture there until 1901, and died two years later in 1903. Rev. Kenneth MacLennon. Image from G-5-RR. Rev. Kenneth MacLennan was born in Canada and educated at Queen’s College, Kingston, from 1845-1850. 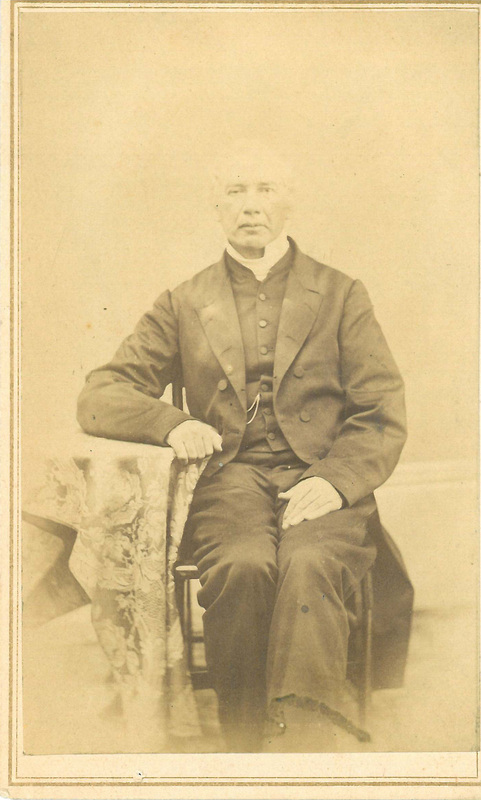 In 1853 he was ordained and inducted to the congregation of Dundas and Ancaster, where he served until 1856. From there Rev. MacLennan was Minister in Paisley (1857-1860), Whitby (1860-1871), Peterborough (1871-1877), and of St. James Church, Charlottetown, Prince Edward Island, from 1877-1884. Under his influence the congregation of Saint James built a new church. The design of the second Kirk reflects MacLennan’s skills and interest in ecclesiastical architecture. In 1867 Rev. MacLennan was elected Moderator of the Presbyterian Church of Canada in connection with the Church of Scotland. Rev. 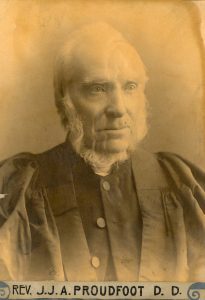 MacLennan was active in the church in other ways as well; serving on the examining committee at Queen’s College from 1865-1875, and on the Committee on Union with Other Presbyterian Churches in the Dominion in 1872. Rev. 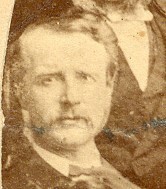 MacLennan died before 1901, though an exact date is not known. Rev. William Henderson. Image courtesy of the Maritime Conference Archives of the United Church of Canada. Rev. William Henderson, Minister of Saint James’s Church, Newcastle, was Moderator for the 1867 Synod of New Brunswick in connection with the Church of Scotland. He was born on August 18, 1800 in Scotland and educated at King’s College, Aberdeen. William Henderson was licensed to preach by the Presbytery of Aberdeen and ordained to the Union Church there. In 1841 the Colonial Committee appointed him to the mission stations of Salisbury, Moncton, and Shediac, New Brunswick. In 1844 he became minister of Saint James’s Church, Newcastle. Before his death Queen’s University in Kingston presented him with an honorary degree. Rev. William Henderson died less than a year after serving as Moderator, on June 6, 1868. As a consequence of his early death the minutes of that Synod remain unsigned. Rev. William McCulloch. Image from G-3-RR. Rev. William McCulloch, Minister at First Church, Truro, Nova Scotia, was Moderator of the 1867 Synod of the Presbyterian Church of the Lower Provinces. He was born in Pictou, Nova Scotia in 1811 and was educated at the University of Glasgow. His father, Rev. Thomas McCulloch, was a notable church leader and founder of Pictou Academy and the first Principal of Dalhousie University. Rev. McCulloch was licensed by the Presbytery of Pictou on August 6, 1838 and was ordained to First Church, Truro, where he ministered until his retirement due to illness in 1886. He was active in progressive movements in the Presbyterian Church and in Eastern Canada society. Rev. McCulloch continued as pastor emeritus of Free Church until his death on July 14, 1895. Rev. Robert MacCunn. Image G-7524-FC, taken from “River John: Its Pastors and People” by G. Lawson Gordon. Rev. 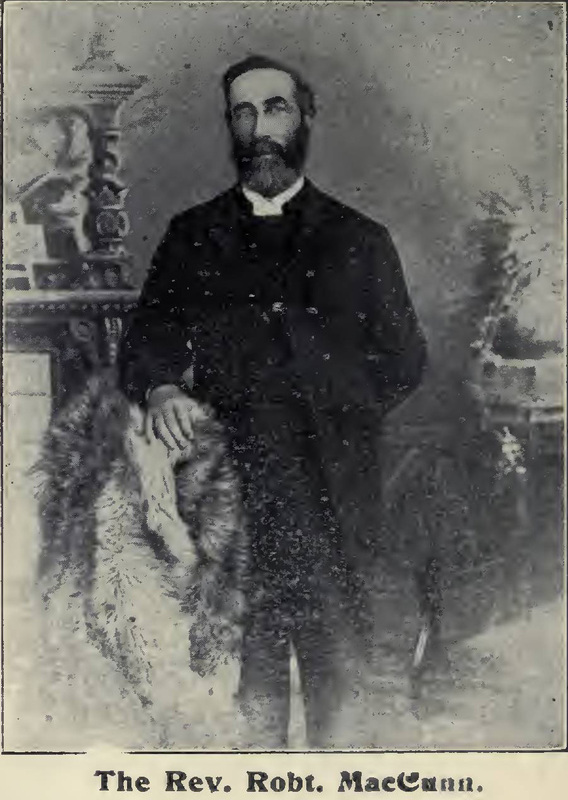 Robert MacCunn, Minister at St. George’s Church, River John, Nova Scotia, was Moderator of the 1867 Synod of the Presbyterian Church of Nova Scotia and Prince Edward Island in connection with the Church of Scotland. He was born in 1837 or 1839 in Greenoch, Scotland and was educated at the University of Glasgow. In September 1863 he was appointed by the Colonial Committee to River John, Nova Scotia. At the time of Church Union in 1875 the St. George’s congregation was opposed to the movement and so, though Rev. MacCunn was personally in favour of Union, he declined to join at that time. It was not until 1894 that Rev. MacCunn and the St. George’s congregation joined the Presbyterian Church in Canada. Rev. MacCunn died shortly after in River John on February 28, 1895.